Climate change is becoming an increasingly real subject for businesses and consumers across the globe. As a way to combat or prolong the issue, many organizations have opted to go green by creating more eco-friendly working environments. Not only does reducing their carbon footprint helps the environment, but it also helps business. Companies who are environmentally-conscious save money and improve their brand reputation amongst consumers. Go Paperless – Are you still printing out documents and sending correspondence through the postal service? To reduce your carbon footprint and cut the cost of copy paper, copier maintenance, and ink, try going paperless. There is software that can be used to draft documents, store files, and email correspondence electronically eliminating, or at least, reducing the need for physical paper. Get a Water Dispenser – Water is a very common drink for employees looking to quench their thirst. Instead of having a vending machine which uses up energy and dispenses plastic water bottles, you can save money by getting office water dispensers. Invest in Some Dishes – Another way to reduce the use of paper in the office is to buy dishes for the breakroom. Keeping a set of silverware, plates, cups, and bowls in the breakroom prevent the need for employees to use paper or plastic products. ners in a general area for your staff to use. Encourage them to place any recyclable items into the storage containers and schedule for them to be picked up by your local recycling or sanitation company. Consider Telecommuting – Having workers come into the office costs a lot of money and wastes a lot of energy. Consider allowing them to work remotely from home on occasion. This would cut down on the cost of utilities as well. If you need to have staff in-house on a daily basis, have them to alternate days they’ll be working from home, this can still save energy and money. Use Recycled Office Supplies – When ordering office supplies like file folders or copy paper be sure to purchase recycled products. Since they’ve been comprised of old materials, it essentially helps to save natural resources. Use Green Cleaning Products – A clean and organized office is necessary for optimal productivity. However, if you’re using general cleaners to wipe down desks and mop floors, you could be creating a rather toxic environment. Switch to all natural cleaning products to reduce the number of chemicals and toxins released into the air. Buy Plants for the Office – What better way to help the environment than to purify the air? There are office plants that help to clear pollutants from the air. Office plants are also a great decor item for an office. Buy Used – Wherever you can, look for an opportunity to purchase used or refurbished items. This helps to reduce the waste that comes from factories producing brand new items. Used and refurbished are often just as attractive as a brand new item and will save your office some money as well. Use Light Office Colors – The sunlight from outside can help to conserve energy in the office. If you have dark office walls, consider switching to lighter colors. The light reflects off the walls better to allow it to feel brighter for longer. Video Conferencing – Traveling for business meetings can cause waste in several ways. The emissions exuded from the car during travel not to mention the cost of gas, tolls, and potentially reserving a meeting venue is a lot of waste. Video conferencing allows for a face-to-face interaction without having to leave the office. There are many free and affordable platforms out there to try. Don’t continue to waste energy and increase the production of toxins and pollutants any longer. You can reduce your carbon footprint and help to save the environment without having to invest thousands of dollars. 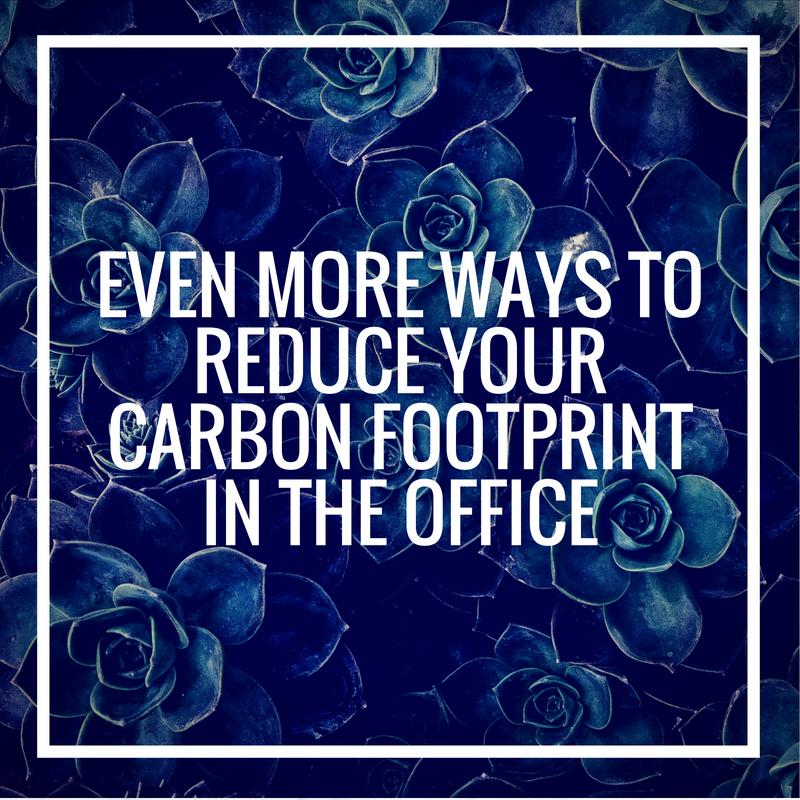 These eco-friendly office tips will help you and your staff on your journey to go green. If you’re looking for more motivation, the fact that you’ll save money and be well-liked by your target market for it, it seems like the best step to take.